Sugar Plum Z has become a picky eater but this is one dish she never refuses. She will eat this even if she leaves all the meat behind. I’m fine with that! 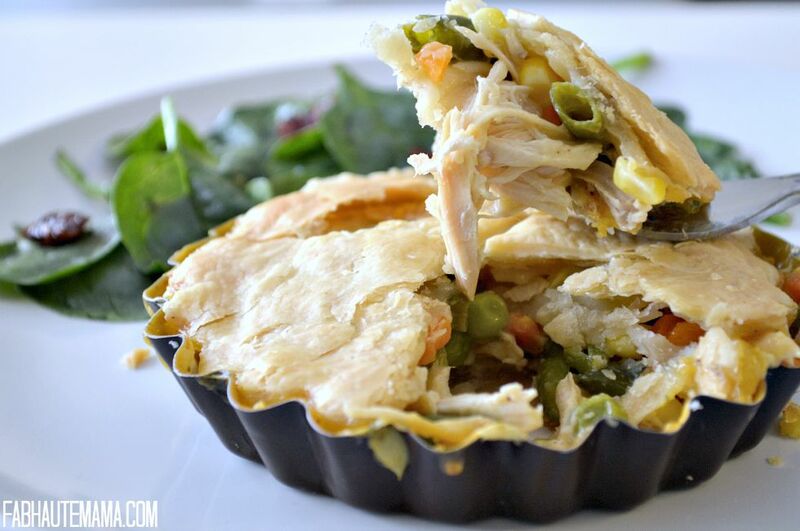 This recipe can easily be doubled for leftovers otherwise known as lunch for The Hubs. He loves pasta and I love that he loves pasta. We save money and I know whatever I make at home is much healthier than what he would buy outside. This recipe is a win all around. A cutting board, chef knife, pot serving spoon and fork are all you need to make this dish. Need I say more. 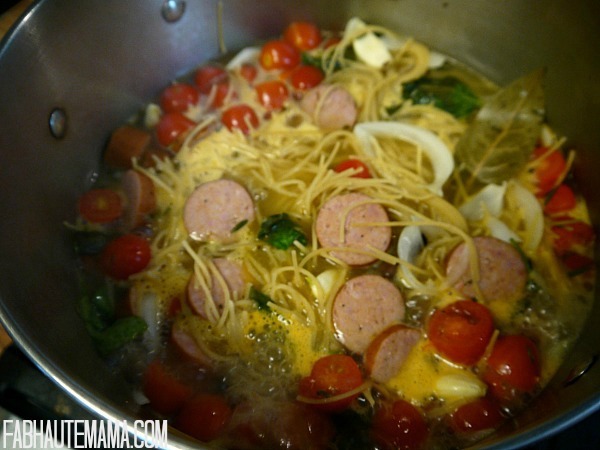 One pot pasta to a tired mama’s rescue. I’m still WINNING! I mentioned this before but it’s worth saying again. 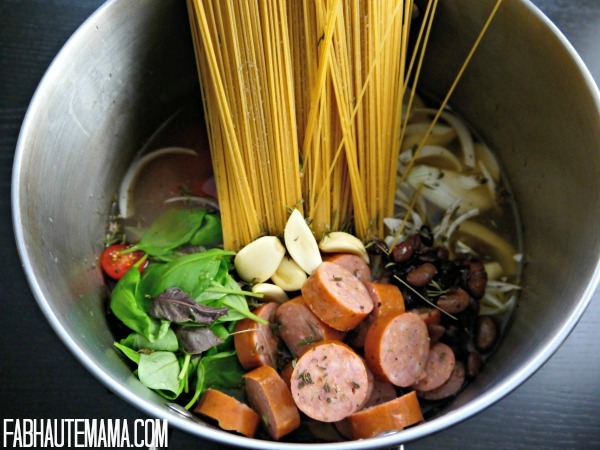 This one pot pasta recipe is quick. Like 30 minute quick including prep and clean-up. Well the clean-up part may be a stretch if you are running behind a busy toddler the entire time but you get the point. 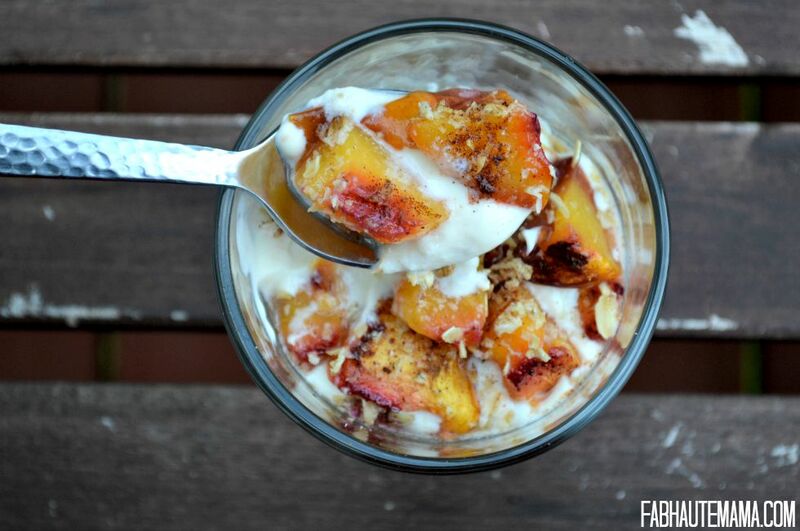 You can make this recipe as is or you can tweak it to your hearts desire. Some of my favorite remixes to this recipe include shrimp & broccoli alfredo, a meatless pot or a chicken and white wine. The possibilities are endless. You can double this recipe, pack it in a beautiful serving dish, throw some fresh herbs on top and bring it to a casual potluck style party. How’s that for a easy crowd pleaser? I’ll take it. In a large pot over medium high heat, combine spaghetti, sausage, onion, tomatoes, basil, garlic, black beans, bay leaf, herbs, stock and water. Reduce heat and simmer, uncovered, until pasta is cooked through and liquid has reduced, about 10 minutes. Discard bay leaf. Stir in Parmesan and adjust seasoning. 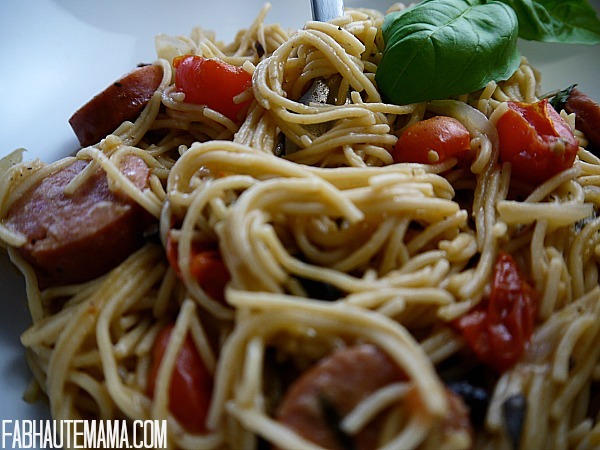 Are you a fan of pasta? 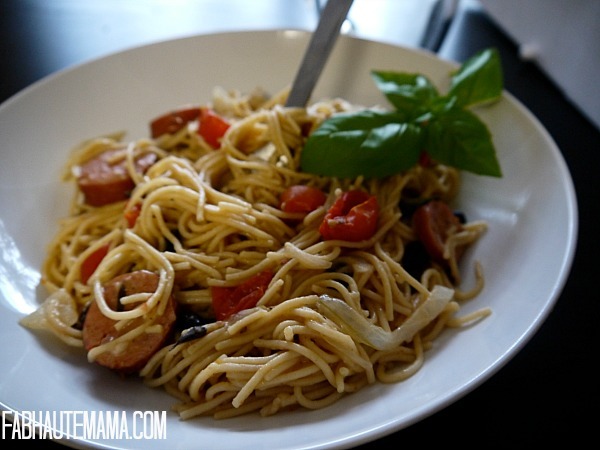 Do you have a favorite one pot pasta recipe you would like to share? Leave the link in the comments. This sounds yummy and all the ingredients on the cutting board made me hungry. Thanks for sharing. I’ll be pinning. Anything toddlers like, I need to try. Girl you’re talking my language. One pot is where it’s at lol. I was (and can still be) such a picky eater. I’m glad Zoe likes it. I can’t imagine you being a picky eater. Not an island girl like you. LOL. Give it a try. 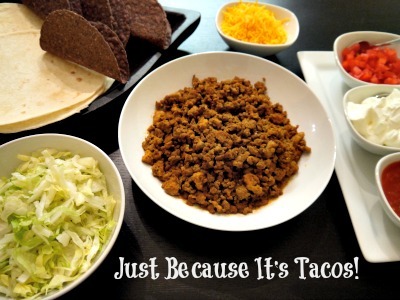 You can do so many different options based on your personal (picky) preference. Ha! 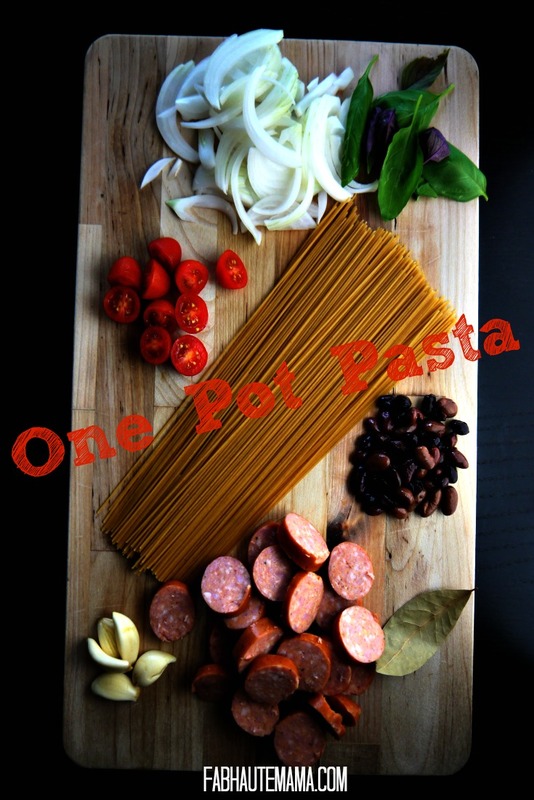 This looks simple enough I love one pot recipes, I may have to add this to my list and give it a try. Go for it. It was oh so simple. Thanks Caralyn. It was good and definitely easy to throw together on a weeknight.